Second-chance romance? Check. Sports romance? Check. First in a duet? Check. Penned by Laramie Briscoe? Check. 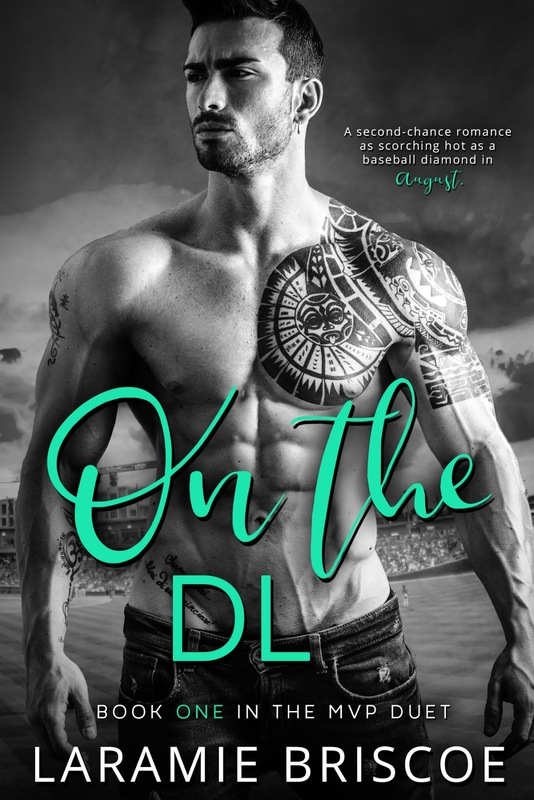 On the DL doesn't just want to hit a home run but goes for the much coveted grand slam and nearly does, and it gets the author's MVP duet off to a great start. If you're familiar with Briscoe's Moonshine Task Force series, then you may recognize Slater Harlow, aka Savage, as the college roommate and best friend of Caleb Harrison, aka Cruise. His love story basically starts when he was a high school sophomore, having fallen for Malone Fulcher, and it ends after they graduate, engagement abruptly ended and all plans for a future together thrown away. They pursue separate professional dreams and ten years later, they've made them come true--his in Alabama, with him one of the biggest stars in the sport of baseball and hers in New York, with her handling the public relations of a major client. One terrifying injury and one unexpected firing later and Slater and Malone find themselves back in Willow's Gap, Georgia. Is their small hometown big enough for two former lovers and a second shot at true love? Learn more about Laramie Briscoe. Purchase On the DL on Amazon.